After lunch we checked out Glazed and Infused, a donut shop I'd seen so many great reviews for. My dream was to get the matcha-filled donut, but unfortunately they'd moved onto a new seasonal menu. 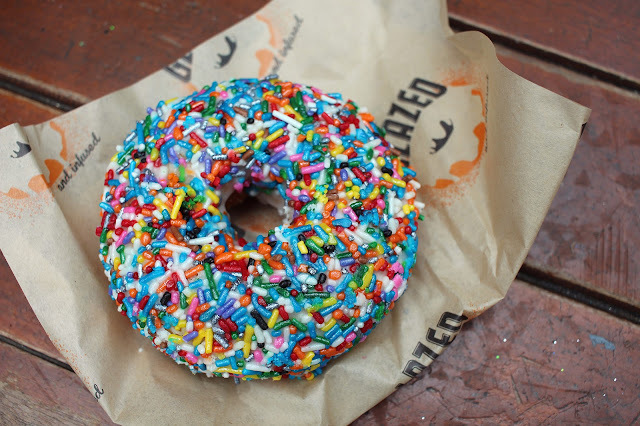 I settled (happily) for this rainbow and metallic sprinkled donut. How pretty is that thing?! 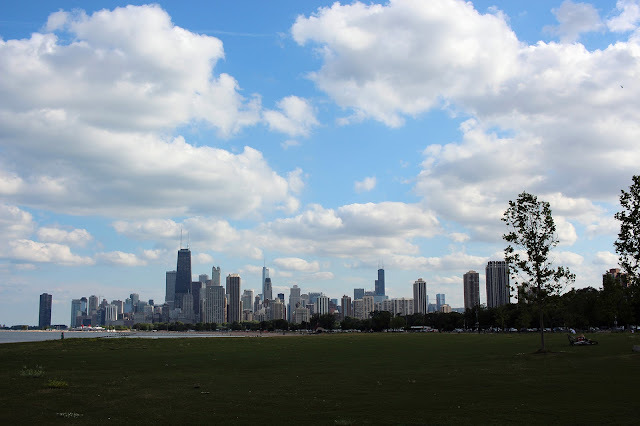 Once grabbing donuts, we headed to the Navy Pier and took in the big blue sky and gorgeous views of Lake Michigan, which for some reason was a lot more expansive than I expected. Lake? More like an ocean! It was a little warm, so after making our way around the pier we grabbed a trolley and the L train back to the hotel to change for dinner. 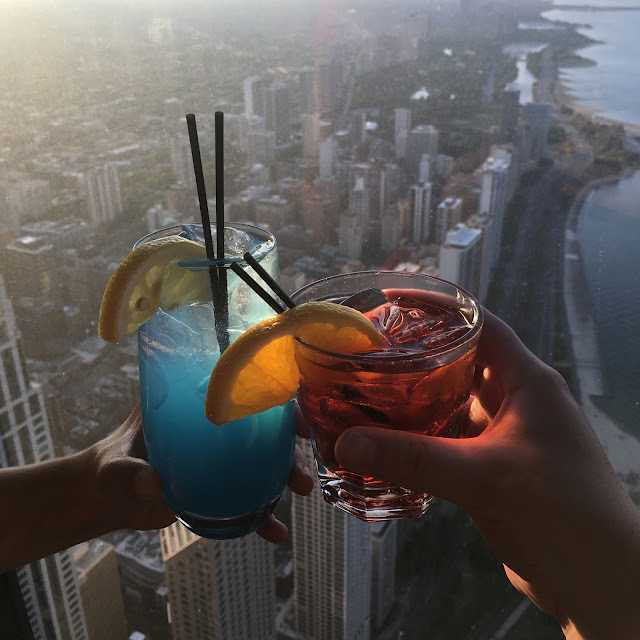 Before deciding where to grab dinner, we decided to head up to the top of the Hancock Center for drinks and a view of the sunset. 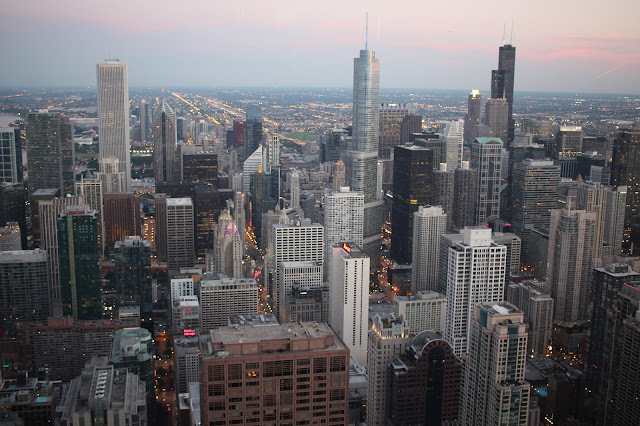 This was one of my favorite parts of the trip, as we had a 360 view of the city, but it wasn't as far above the other buildings as the Willis Tower, so it made all the details of the architecture stand out even more. For dinner we stopped by Giordano's, which had a really fun and family-friendly atmosphere. I was really impressed that they agreed me to make me a mini deep dish pizza without cheese! Though in a perfect world I would've enjoyed Chicago deep dish, dairy and all, but for missing one of the main ingredients, it was still pretty good! We stayed at Hotel Allegro, which is a cute boutique-style hotel with total art deco / gatsby vibes. I was so in love with every bit of decor, and their carpet had little stars on it that almost exactly matches the tattoo on my foot. 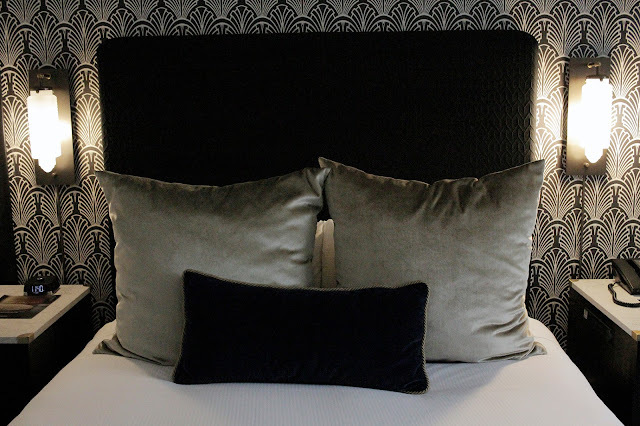 I felt like the hotel was designed specifically to suit my tastes, and the beds were so comfy. Check out that wallpaper!! 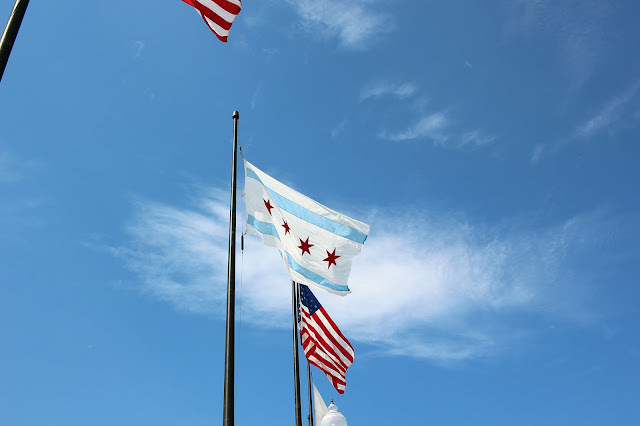 Overall I had a fantastic time in Chicago and I would love to go back for a longer visit. Watch this space for updates on Day 2 and 3, and you can check out my Instagram for more on-the-go shots of my travels! 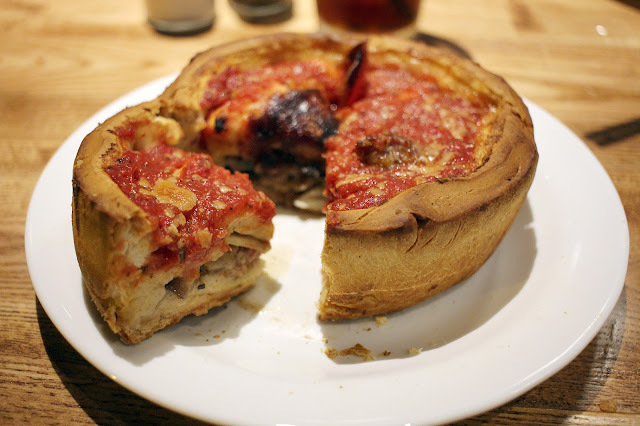 I was just in Chicago for a conference in May - I also had Giordano's the first night! Try entering the lottery for $10 Hamilton tickets - the Chicago production is great!